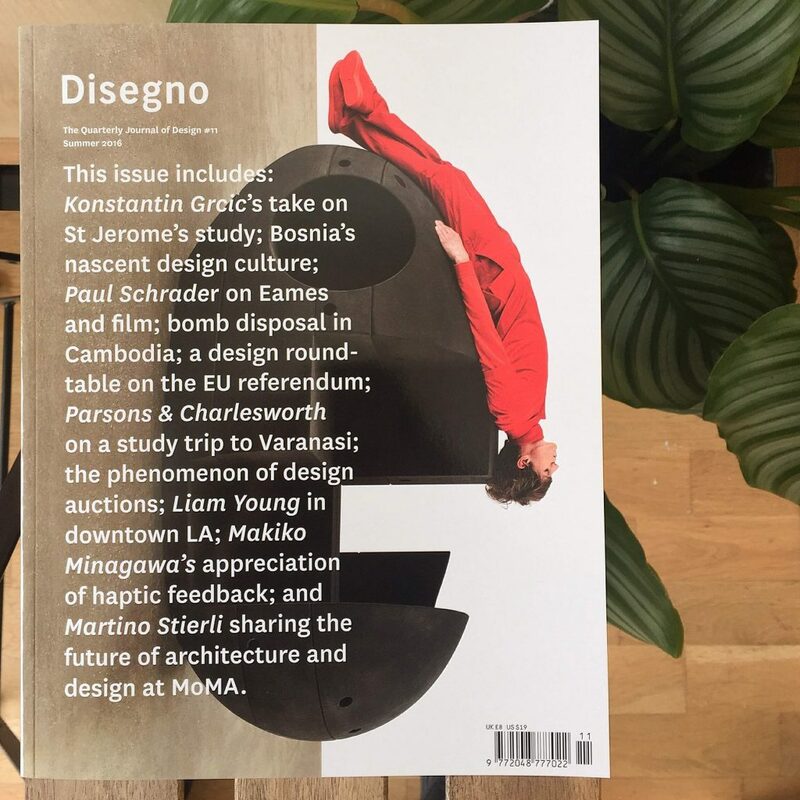 Disegno #11 features, among many in-depth observations, a roundtable discussion on the creative value of the EU from a designer’s perspective, an artist’s reverence of the London Underground as well as observations of the blurred line between couture and prêt-à-porter at the Met’s Manus x Machina exhibition. The cover of Disegno #11 sees the dancer Adrien Dantou in dialogue with Hieronymus, and a capsule-like micro-environment produced from 3D-printed sand by the designer Konstantin Grcic. How do you get your copy of Disegno? Follow this link to subscribe or see information on our stockists here.